It’s hard to know if there’s really anything other than creative “reality” t.v. behind this wedding. We’ve seen love affair after love affair spawned by shows like The Bachelor and its spin offs and predecessors… so is this reality show romance more than the usual love-spam we get thrown at us daily? Will this marriage thrive in the glow of the studio lights or will it wither on camera as the ratings crave a bitter break-up? Whatever it becomes, one thing is for sure… we’ll all be watching. 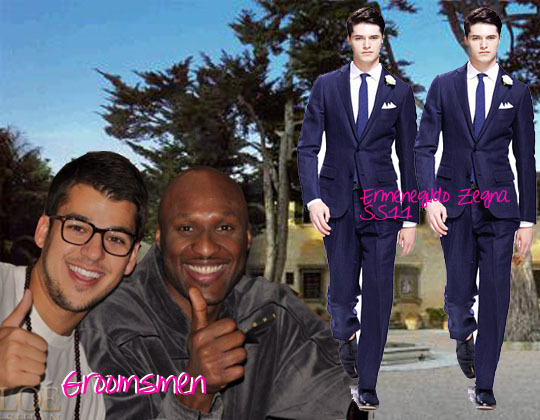 The groom will be a towering coat rack for Ermenegildo Zegna. 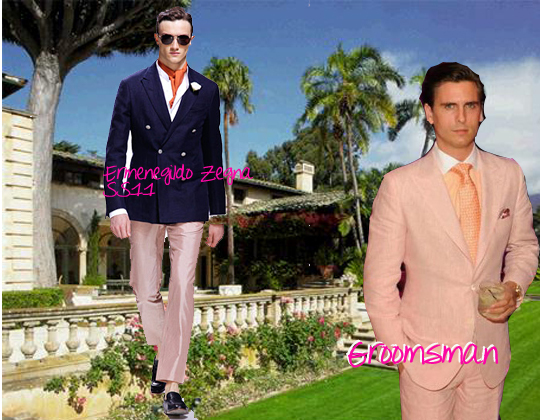 The Grooomsmen… Is this the Groomsmen rags? And can we just be honest? Does anyone care what the groomsmen wear? Groomsmen Who? All eyes will be on the bridal party. For new or antique wedding rings, we are your #1 Florida resource! 2011 will forever be remembered as The Year of the Royal Wedding. However, one more day of regal nuptials will take place this year, and this particular wedding boasts a decidedly more Hollywood Bride – it’s a reality royalty wedding this Saturday as the queen of unscripted television, Ms. Kim Kardashian weds New Jersey Nets player Kris Humphries. But ultimately, which K-named bride wins the contest of THE Royal Wedding of 2011? Wedding Rings! Kate’s is a family heirloom imbued with sentimentality, once worn by style icon Princess Diana. It has spurred the creation of thousands of knockoffs, and single-left-handedly created an enormous demand for blue sapphires. Kim’s is mind-blowingly huge weighing in at a whopping 20.5 carats. Kim wins this round, if only because we applaud her ability to keep her left hand from dragging on the ground whilst wearing that thing. 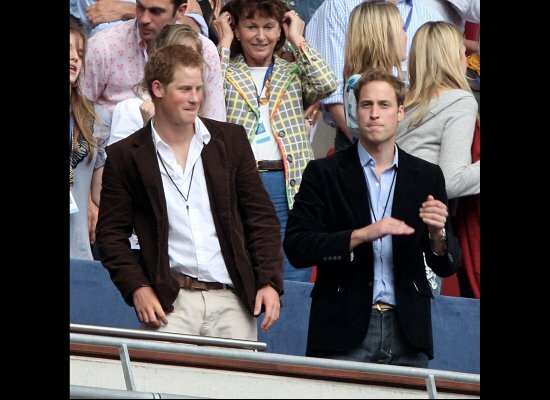 Kate’s husband is a prince. Kim’s is a basketball star…in the midst of an NBA lockout. 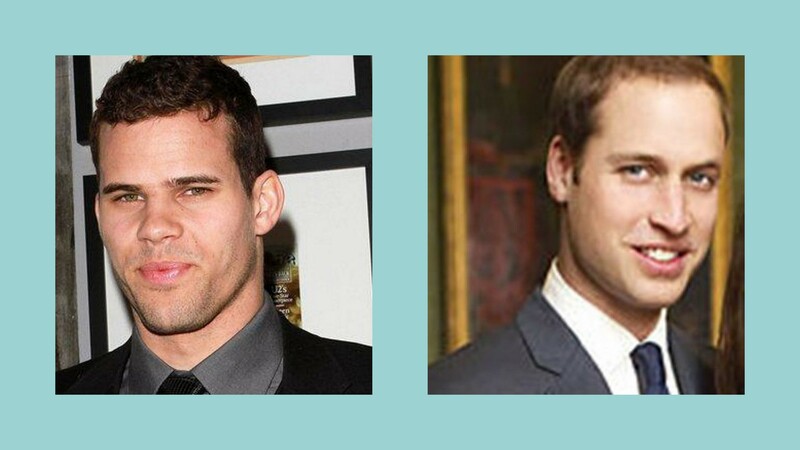 Although Humphries does boast the better hairline, Prince William’s got the better bloodline. Kate, now Catherine, Duchess of Cambridge wins this round. This round might at first appear to be a TKO for Kim with sheer numbers on her side, but Pippa’s bringing up the rear (of the bridal party) has surpassed even Kim’s world famous asset in internet searches as of late. Plus, Harry is the roguish younger brother that Disney prince protagonists are modeled after. Namely because he’s an actual prince. We say round 3 is all Kate’s. On April 29, 2011, an estimated 2 billion people tuned in to watch Kate Middleton marry Prince William. In the months leading up to the nuptials, Royal Wedding fever swept the globe, creating one of the most anticipated events of the decade. Kimmie, despite her best efforts to create “the other royal wedding”, has not licensed the rights for her ceremony to air live on any of the major news networks, and the only people waking up at 4 am to catch a glimpse of her will be the paparazzi. However, she has developed reality spin-offs (of spin-offs, of spin-offs) to cover the planning and events of her big day. Still, 2 billion, with a ‘B’. Kate wins again. 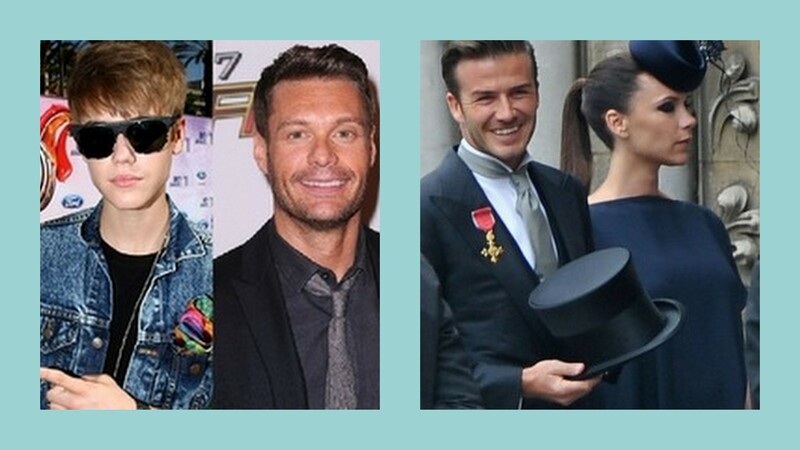 To be fair, The Duke and Duchess did count David Beckham in attendance at their wedding. But there’s no way they can touch the Hollywood turnout sure to be present at Kim and Kris’s. The fashion and jewels alone are sure to be jaw-dropping. We’re imagining luxury watches galore, solid gold wedding presents, and more vintage and heirloom jewels on the bridal party and guests than you can shake a stick at. This round is all Kim’s. By our powers of addition…it’s a tie! While Kate’s the future queen of England, we’re sure that Kim will still feel like a queen on her big day. What do you think? 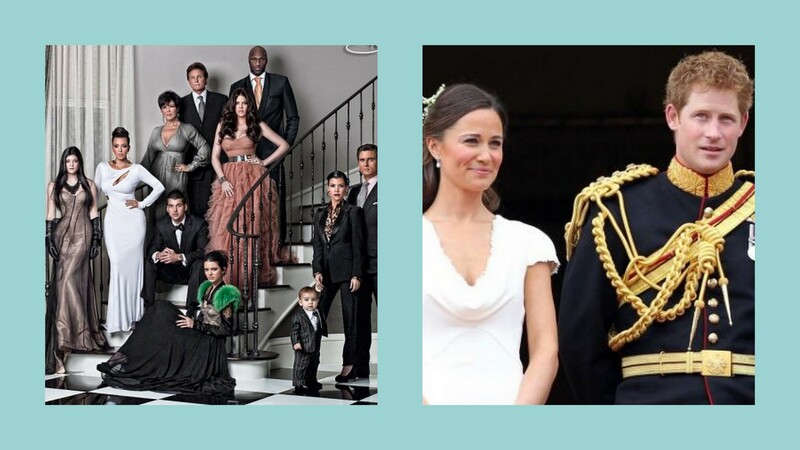 Which royal wedding has captured your attention more? 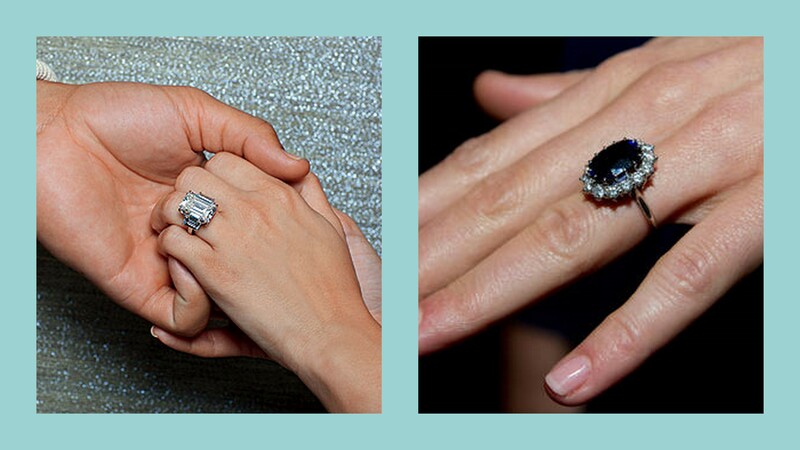 Would you wear a luxury diamond engagement ring like Kim’s, or prefer vintage bridal jewelry more? By Raymond Lee Jewelers, your wedding ring resource for new or antique wedding rings! Kate Middleton Shows Off Her Royal Style's Staying Power! Kate Middleton glimmered in a soft glow, illuminated by her Jenny Packham gown at Kensington Palace during the 10th Annual 10th Annual ARK Gala Dinner. The Duchess exhibited ‘exquisite grace’ and a flawless style at the event, keeping fashionista enthusiasts excited about Kate! The Royal beauty stepped a bit outside the very traditional, conservative garment box she’s been safely sticking to since the Royal Wedding. This glittering gown was a style smash, a great one, leaving an impressed response from all those who had a sneak peak of Kate at the Gala Dinner. When we first reported on Kate’s ‘Something Borrowed‘ and the controversial tiara that we were so pleased to see her wear, I believe the world had barely a clue what an impressive little fashionista they had in their hands… A ROYAL fashionista! They say men tend to look for certain qualities in their future wives that they embraced from their Mother. 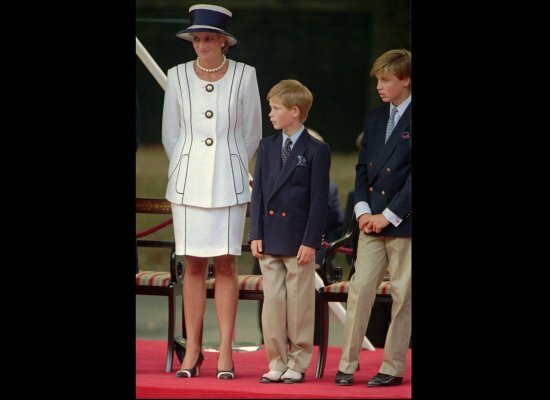 In this case, I believe a young Prince William recognized the creative fashion and jewelry designs created by his Mother, Princess Diana, as he’s married a stylish, spirited woman with grace and genuine charm. The likeability factor is undeniable. She’s a perfect addition to the Royal Family. Dots Press had the following to say about Pippa, who just completed in the Highland Cross Challenge, a 50-mile duathlon. When it comes to fashion, Pippa Middleton is a true professional. She knows how to match and perfectly accessorize her outfits. Sometimes using the same handbags, over and over again. For Middleton sisters, money was never a problem. But they choose not to spend a fortune on clothes and accessories, as other children from reach families. Moreover, Pippa was seen in public lately wearing the same three handbags: one cream, one gray, and one brown. Bristol’s Modalu, the British maker of the handbags, renamed them after her and then created a purse to make the set complete. Pippa, the Royal Sister, looks to be another Fashionista on the Royal rise, as rumors of romance between herself and Prince Harry begin to build a momentous buzz. This news was still unbeknownst to me when we published the Masculine Monday dedicated to Prince Williams Classic Style of Proper Patriotism. Now serving as further proof that their is an undeniable and strong allure to a well-groomed and proper mannered gentlemen who can carry his name and Nation with pride. 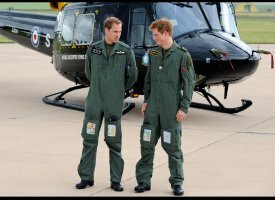 Obviously, nothing is without flaw, and we might have done without Prince Harry‘s daring anti-sematic fashion mistakes. As they say though, no press is bad press, and the buzz around Prince Harry’s more embarrassing ensembles opened the gateway to Style Stardom for Prince Harry. As a Nation, we feel that we’ve been part of an evolution, a perpetual change in the appearance of the younger Royal Brother. Whether it is in fact the truth or not doesn’t matter much, as he’s worked his way successfully into the soft spots of our American hearts. The special edition front page shows the 26-year-old wearing kit for the Walking With The Wounded charity, of which he is patron. He will arrive at the group’s base camp in Longyearbyen, northern Norway, on Tuesday to begin his training, before he heads out into the frozen wasteland on Friday. Harry will be with his teammates for the first five days of the gruelling walk, which is expected to take around four weeks and will cover up to 200 miles (322km). They will haul sledges weighing more than 220lb (100kg) in temperatures as low as minus 60C (minus 76F). There definitely is something to be said for the power of an attractive man that looks like he’s just rolled out of bed. However, following the Royal Wedding and all of the well-deserved enamored praise for new Bride, Kate Middleton, society may find itself placing more value in the appearance of an obviously groomed, self-aware Prince. I would propose that on the next published list, Prince William’s Classic Style may rank higher among the GQ Experts, with fresh eyes. Congratulations is in order for this impressive Royal Brotherhood, though they come a bit late. With different approaches to fashion that vary from ultimately traditional to the extremes of casual, both have made their mark on the world of fashion, and what the future has in store for us should be nothing less than an exciting style evolution for both men. Gentlemen, if you have been working your way up the fashion ladder in hopes to place among the best dressed in Britain list… Here’s a great wardrobe staple to give you a head start on Royal Style! Now you can consider wearing polos with the famous Vivienne Westwood quirkiness. As always, we’ve got plently of details giving the piece something attractive. Featuring a striped collar and some offbeat white contrasting buttons, this polo is a godsend for the casualwear. That’s all we plan to wear during our summer holidays! Prince William and Catherine Middleton! “The Fighter” actress wore a Cartier platinum and diamond Haute Joaillerie secret watch bracelet, which featured 575 separate diamonds and a 30.75-carat carved emerald stone. 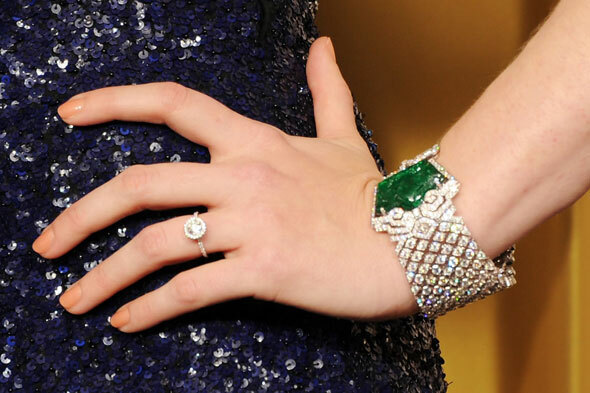 The bracelet has been rumored to value at over $1.025 million. Winning the nomination was the tough talking Melissa Leo, who fitting with her character in the film, let an f-bomb slip during her acceptance. The gemstone belonging to the month of May is none other than the glamorously green Emerald, a particular variety of the mineral Beryl. The Emerald is not only the May birthstone, but also the Zodiac stone for the constellation of Cancer. Emerald gemstones are associated with patience, understanding, and foresight. Perhaps one of the most notorious pieces of unforgettable emerald jewelry belonged to Princess Diana. Pictured here in 1982, the Emerald chocker worn by Princess Diana remains one of the most admired and adored pieces of immaculate emerald jewelry of all time. The famous Diana’s diamond and emerald choker, a wedding gift from the Queen. Once she caused a stir when she chose to wear it as a headband. The Emerald gemstone is among the most magnificent. especially in the amazing jewelry worn by Princess Diana in the early ‘80s and by Amy Adams at the 2011 Oscars. If you’re an Emerald lover… you may want to take a quick peak at these gems! You will certainly win her heart with this gorgeous emerald pendant. Perfectly framed, this well cut emerald is a beautiful velvety blue-green. With just the right “de Jardin,” the diamonds are custom cut to frame this heart shaped stone beautifully and the setting is made so delicately to show off each stone perfectly. This beautiful white gold, emerald and diamond bracelet is the type of bracelet that every woman should have in their wardrobe. Simple, but elegant the bead set diamonds frame the velvety soft emeralds perfectly. Its hinged style closure makes it simple to put on and take off. Perfect for a night on the town or for when you just want to feel good. Oh, The Royal Wedding! Such an elegant and beautiful Alexander McQueen gown worn by Kate Middleton, decorated with the most delightful diamond drop earrings and the famous ‘something borrowed’ tiara. With so much attention being given to the blushing Duchess, I thought today would be a perfect opportunity to recognize the classic style of Prince William. He seems to have created a new genre of men’s fashion, and I personally believe it to be absolutely brilliant! Prince William prefers clean lines and classic fits, exuding a proper patriotic gentleman appeal that is quite easy to be enamored with. The leading fashion trends today, from Edwardian Era Engagement Rings for the gals, to Vintage Leather Strapped Watches for the gents, seem to be showing appreciation and paying homage to the men and women of America’s early 20th century more than ever before. With Classic evolving into Couture … Prince William’s simple, cleanly patriotic look, seen the day of The Royal Wedding, is a clear example of his fashion-conscious style. Prince William of Whales was 18 at the time, and has since retreated into a conservative style that unbeknownst to us, was entirely ahead of the fashion curve for men! With a constantly classic and proper wardrobe, Prince William prefers navy blue, burgundy and other regal, richly conservative colors. His dress shirts tend to be of either lighter blue’s, classic white or cream colored, with classic pointed medium spread collars. His suits are not slim-fitted, and the press has yet to see him sockless. This dedication to proper attire, and avoidance of the fashion trends that sit too far apart from classic are commendable. Prince William has the patriotic gentleman look pinned. Perfectly. 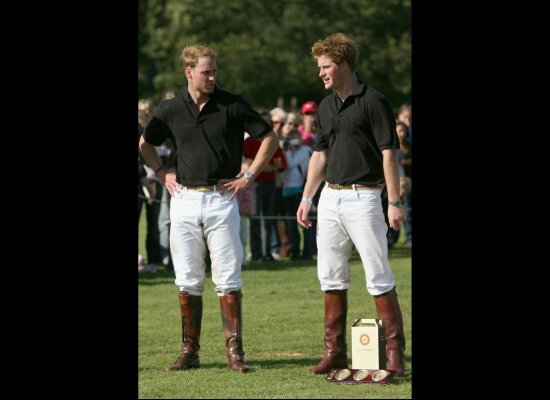 There are a few key Royal fashion tips that you should take from Prince William. For upper-dressed occasions, You can’t go wrong with sporting a classic tie clip, small patriotic accents, or navy and burgundy neck ties. On casual days, polo shirts worn with khakis, and crew-neck sweaters on-top of button-up shirts and trousers will be a successfully royal choice every time. Have a wonderful day, Ladies and Gentlemen! Kate Middleton’s white gown, designed by Sarah Burton, the creative director of Alexander McQueen, reminded us of the wedding dress of another princess: Grace Kelly. The American actress and Princess of Monaco‘s gown had a high collar top, long lace sleeves and full skirt. It has since become one of history’s most iconic wedding dresses and one widely copied. Middleton picked a similar silhouette for her wedding today, although her gown’s low v-neckline gave the new princess a more modern feel. And she isn’t the only one to have take fashion inspiration from Kelly—Ivanka Trump wore a Kelly-inspired dress designed by Vera Wang to her 2009 wedding to Jared Kushner.